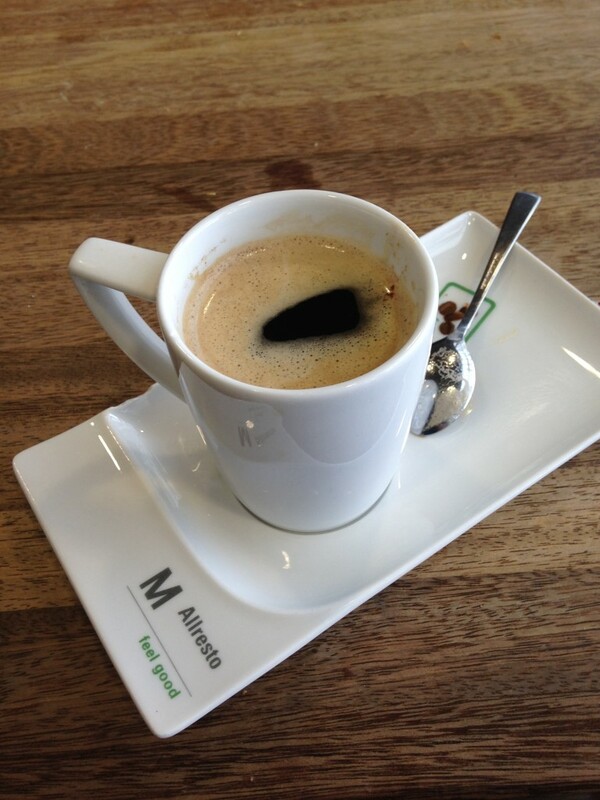 Do you happen to have a layover at the Munich Airport (MUC). I only visited this airport in transit for a few hours. But during those few hours, it was such an underwhelming experience that I just had to write about it. With my next move, I almost ended up outside of the airport! If I would’ve followed the crowd right outside the sliding glass doors that were directly in front of my gate, I would’ve ended up leaving the airport. I realized that and turned around. I found an airline customer service desk. No one was there. Waited around. No one showed up. After searching for about 15 minutes, I found an employee and asked her about my flight since it wasn’t on the board yet. Turns out I was really close to the international departure area. She pointed me to the appropriate terminal, the B gates. Once I arrived, I was disappointed. It had three very general stores and one overpriced food stand. When I say general stores, I mean your typical 1990s American airport type of store. I was disappointed. I needed to fuel up so I hit up the only food stand. 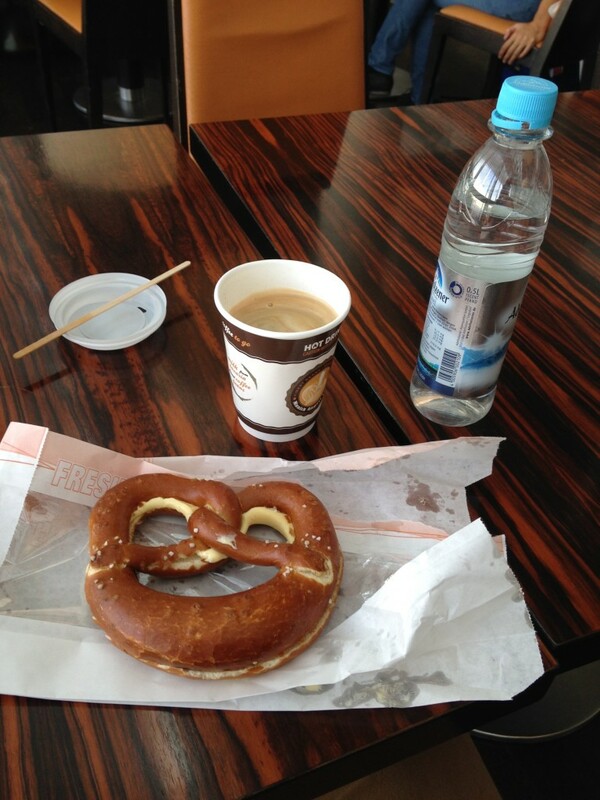 I ordered coffee, water, and a pretzel for $14 USD (picture below). Welcome to Europe. Note, you can pay in dollars but sorry, your change will be in Euros. This is not the place to break your $100 bill! I went back later on for a $4 coffee (picture above). Honestly, the coffee was really good. Luckily, there was plenty of seating available. Unlike this airport. Unfortunately, there were no electrical outlets to be found, so my phone quickly died. There was nothing else in the terminal. The international departure area isn’t conveniently located to the rest of the airport, so it’s not easy to get around. I tried to get some sleep in the uncomfortable chairs and patiently waited for my flight to board. Good news, though. There’s free WiFi, right? Kind of. The WiFi is free although you have to sign up for it. Also note, it’s so slow that you won’t be able to get anything done. The terminal is so bad, I was actually excited to get on the plane. The Munich Airport receives a failing layover grade of 3 out of 10. East of transport within the airport is bad. The international departure area is siloed from the rest of the airport. The shopping is non-existent. The food options are terrible and expensive. The coffee is good though and there was plenty of space to sit, although there were no places to charge your phone. The WIFI was useless. Finally, this is not an airport you want to have a layover at. Sorry Munich, maybe next time!